Celebrate the IPO with luxury ingredients all the way, including a kobe beef hot dog, brioche bun, and decadent triple-cream cheese. With a bison hot dog, crumbled bacon, shredded cheddar, and caramelized onions, this dog is brawny enough to fuel a day on the range. 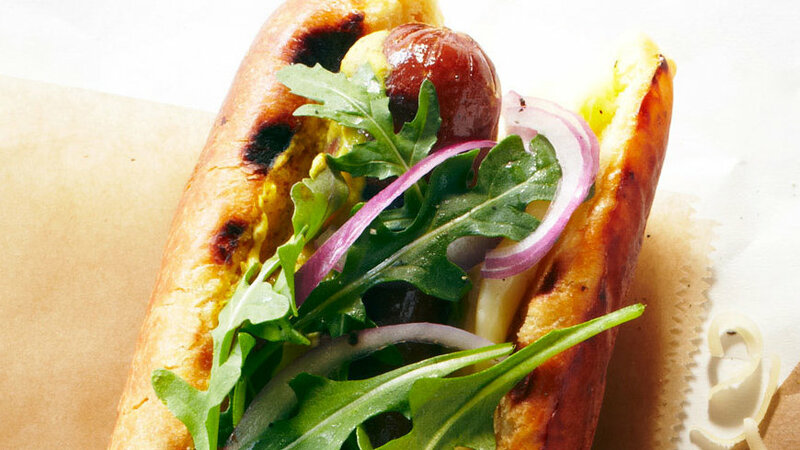 This hot dog celebrates the homegrown, with toppings such as fresh garden veggies and an herb-laced aioli. 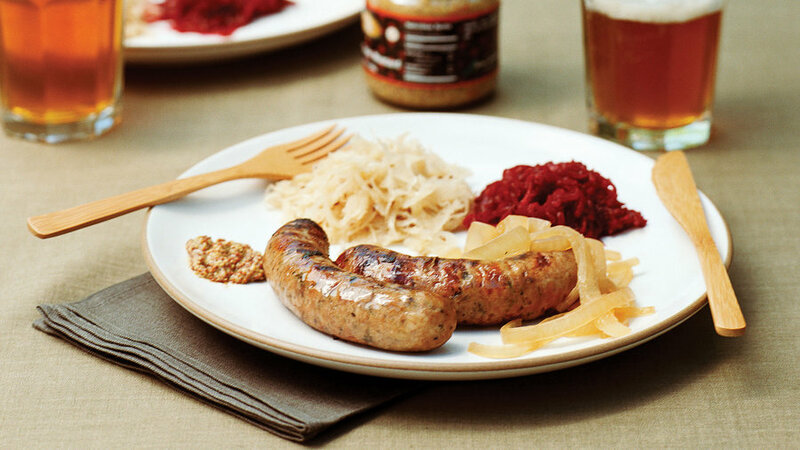 A locally made nitrate-free dog, craft-beer mustard, and sauerkraut make this one conscientiously tasty combo. To reinvigorate you after hours of riding the waves, sink your teeth into this beef-pork dog topped with grilled shrimp, avocado, Sriracha-laced mayo, and slivered nori. For these sandwiches, Morgan Robinson, chef-owner of Smoke Open Fire Cooking in Napa, grills the sausages outside (and the cheese too, in a small cast-iron skillet). 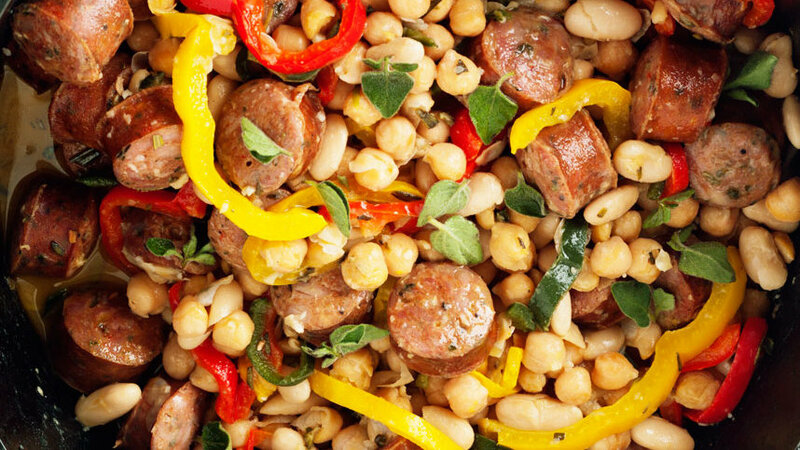 This indoor, cold-weather version is easily expanded to feed a crowd. In Spain and Mexico, this style of soup is called fideos (after the thin noodles used) and can be very brothy, like this version, or very dry (when it's called sopa seca). You can double this recipe, or even triple it. 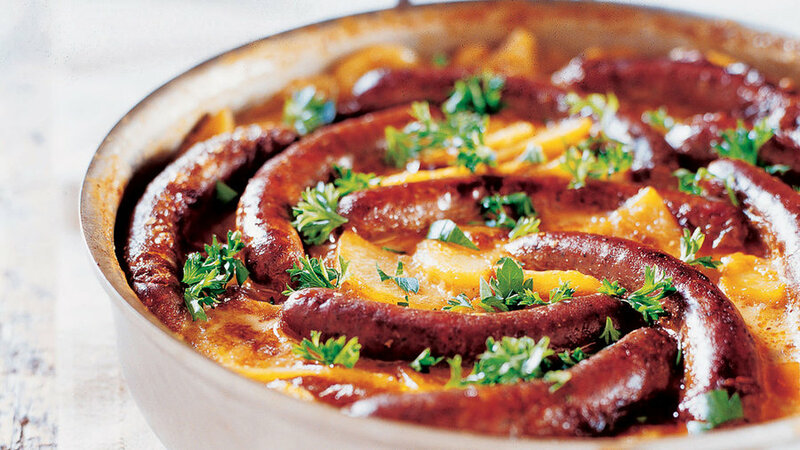 Simmering these sausages in beer first makes for quick grilling. 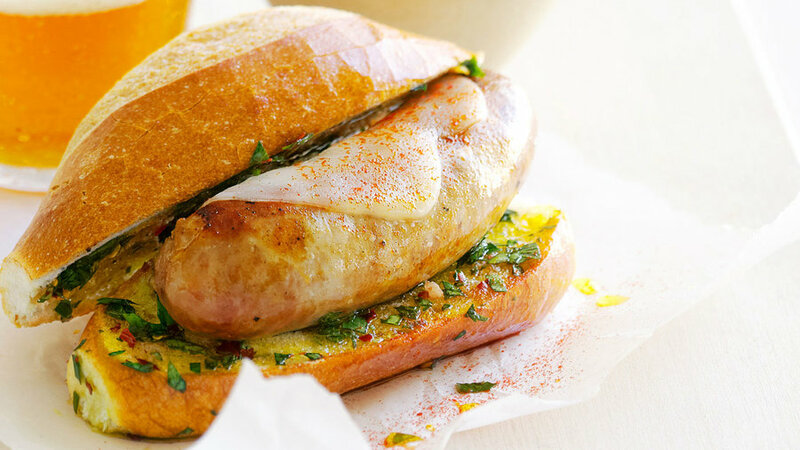 We love these smeared with coarse-grain mustard on crusty rolls. The onions take on a lot of the ale's flavor, including its slight bitterness. Cook up a complete dinner using just one pan. If you've only had hominy―big, starchy corn kernels with the hull and germ removed―in posole, you'll be amazed at how delicious and satisfying it is all on its own. Here we cook it in the seasoning left in the pan by the sausages to maximize flavor. 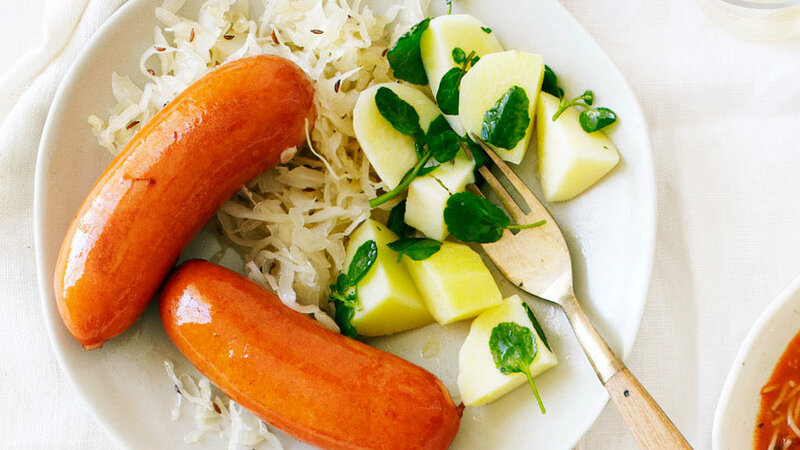 Creamy potatoes are a great foil for spicy sausages―and you get only one pan dirty. 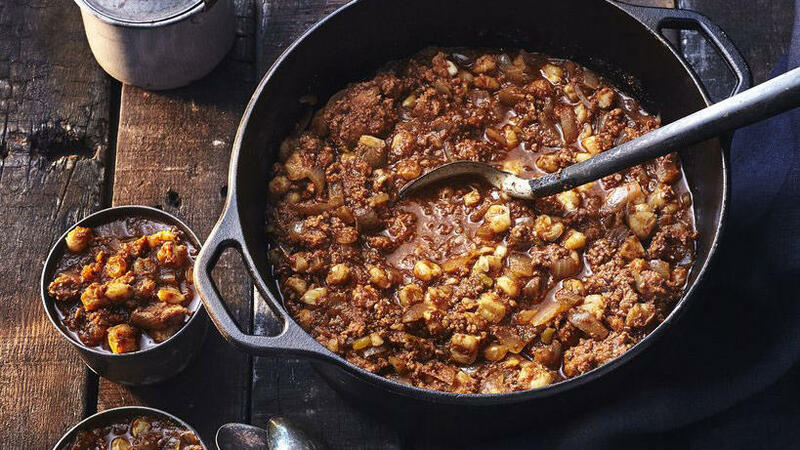 Not only is this chili easy to make ahead, it actually improves with time. If you like your chili very spicy, add an extra teaspoon of chipotle powder. 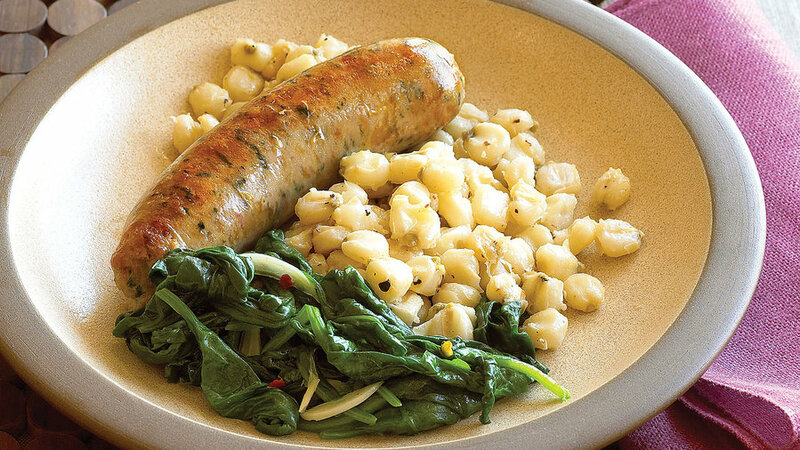 Serve it with hunks of warm cornbread. This one-pot dish adds color and spice to your weeknight meal.